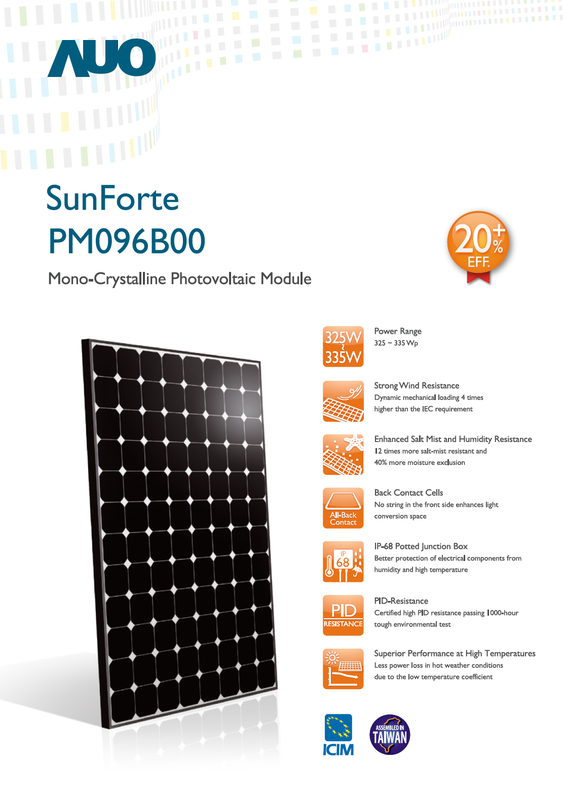 AUO’s SunForte PM096B00 back-contact cell modules have the highest module efficiency among all AUO module products. 25 Years Warranty. 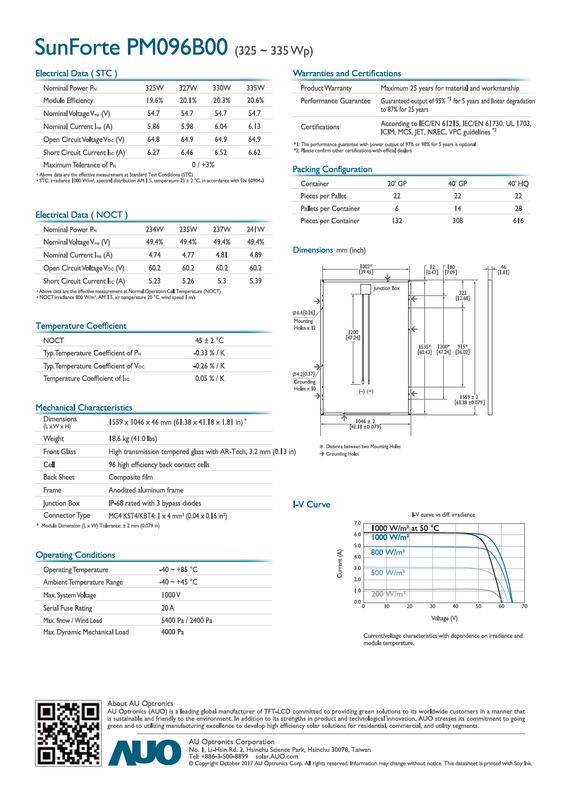 Please contact us with any questions you might have related to our company or our products. We look forward to hearing how we can make the difference to you.